Temporary Site Screening is an effective way of covering up working in progress during construction or building work. Even by our standards this was an unusual request from a client. Mostly because it required no print! 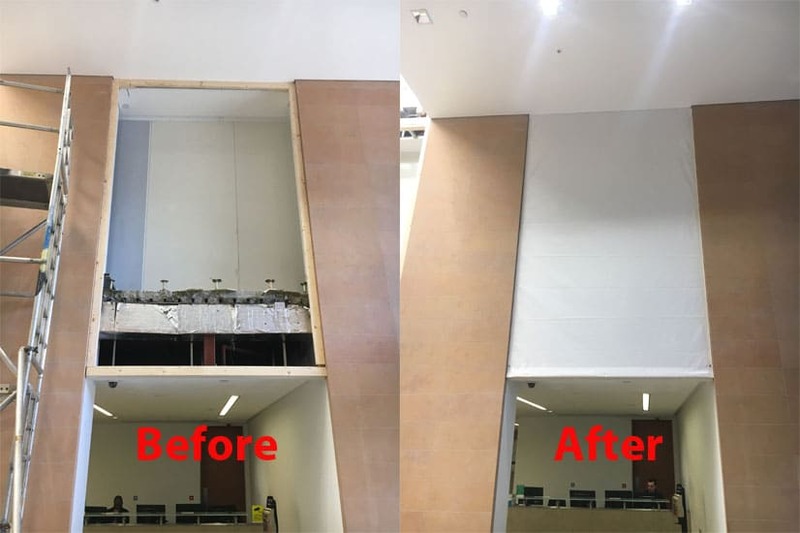 This Temporary Site Screening we produced for BNP Paribas in London was to cover up a large area where glass windows in the atrium needed replacing. The glass windows were going to be remanufactured, however this would take at least a month making the entrance hall look more like a construction site. As you can imagine leaving these area uncovered during the work would is unacceptable to the client. 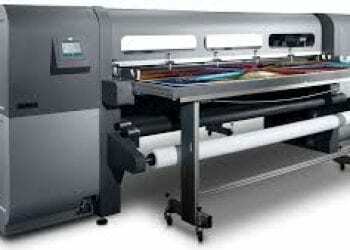 Project Print Management was asked to come up with a solution for a Short term Site Screening. 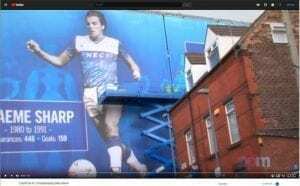 The installation of the Temporary Site Screens. The installation of the short term protection Site Screening was a challenge mainly because there was no access to the area and nothing to fix suitable anchor points to hang or tension the Temporary Site Screening on. A mobile access lift could not be used as there were steps into the atrium so we had to work off mobile towers. The Temporary Site Screen was tensioned onto a simple timber batten frame and installation was carried out over the weekend and evening to avoid any disruption to the offices. Temporary Site Screen is fire retardant PVC. Temporary Site Screening or also known as PVC screening or Protective screen are sheets of fire retardant PVC and can be as large as 5 meters wide by any length. The Site Screening can also be digitally printed with any design. We can even match the wall colours so it looks as discreet as possible. For more information on Temporary Site Screening or Printed PVC screening please contact us or visit our blog. 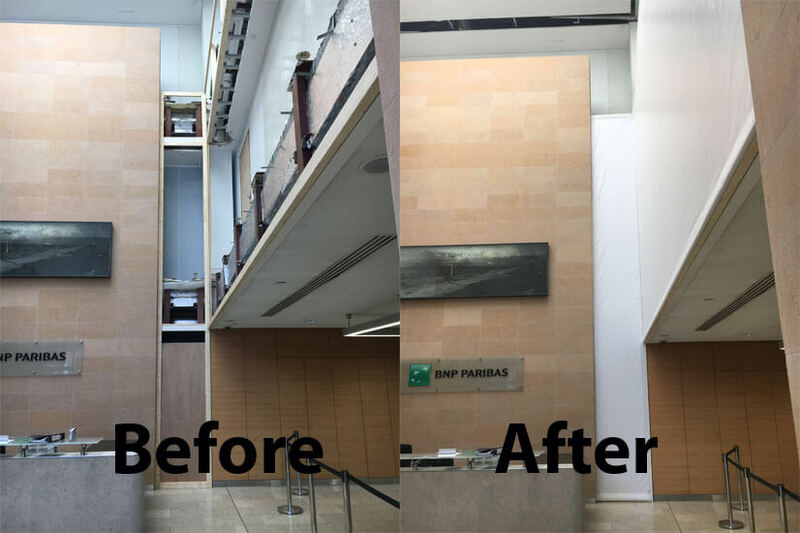 Other projects we have produced for BNP Paribas please click here.